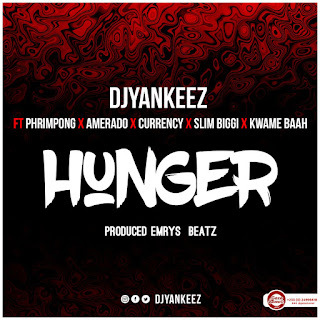 The multiple award winning Dj popularly known in our showbiz cycle as Dj yankeez has release his single Banger dubbed "Hunger" The track featured to Phrimpong ,Amerado,Currency, Slim biggi and Kwame Baah.Emry Beatz was the production seat. 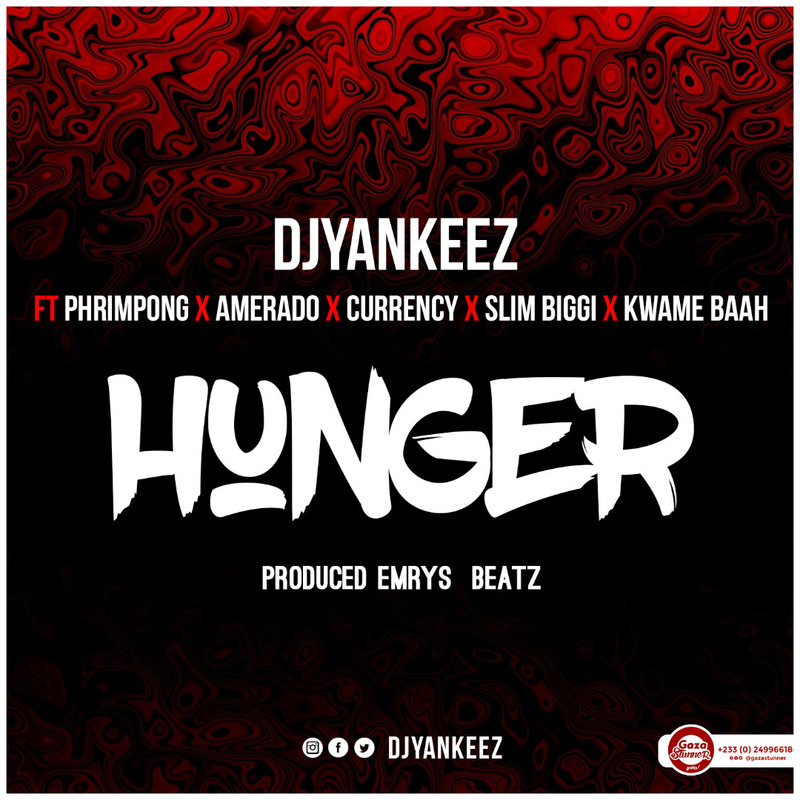 Dj yankeez is a Ghanaian Dj who Studied abroad and had a diploma in Music. He is now in Ghana and into music and Dj works as his profession. This his newly released is taken Ghana Worldwide and I want you to listen and drop your comments.